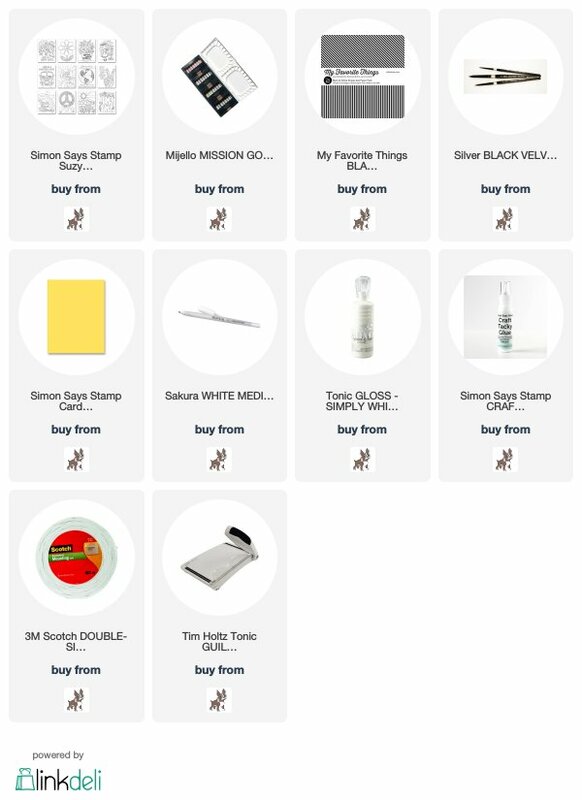 I recently bought Mijello Mission Gold watercolour. I added the colours from the tube to the palette and left it to dry, made the colour swatches to try water colouring. 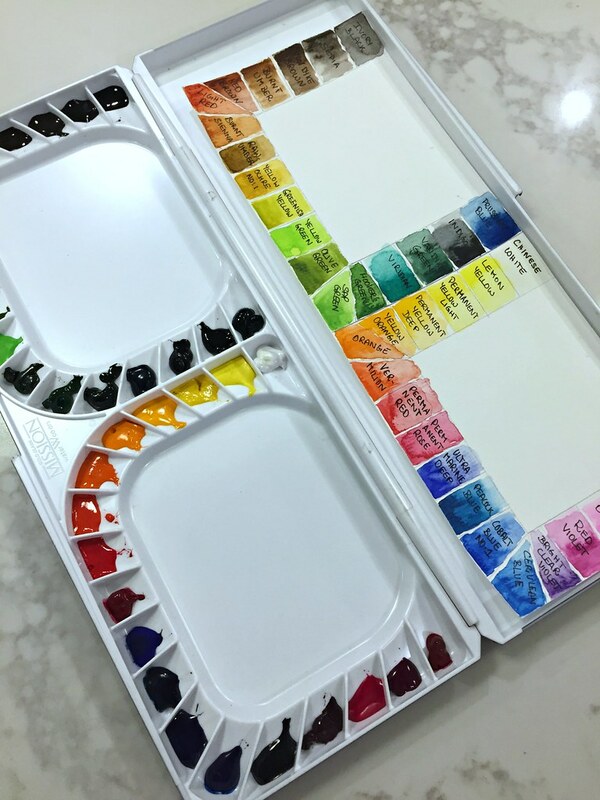 Btw, I bought the 36 colour watercolour. At last, my Simon’s Good Vibes release package I bought last month arrived in the mail. 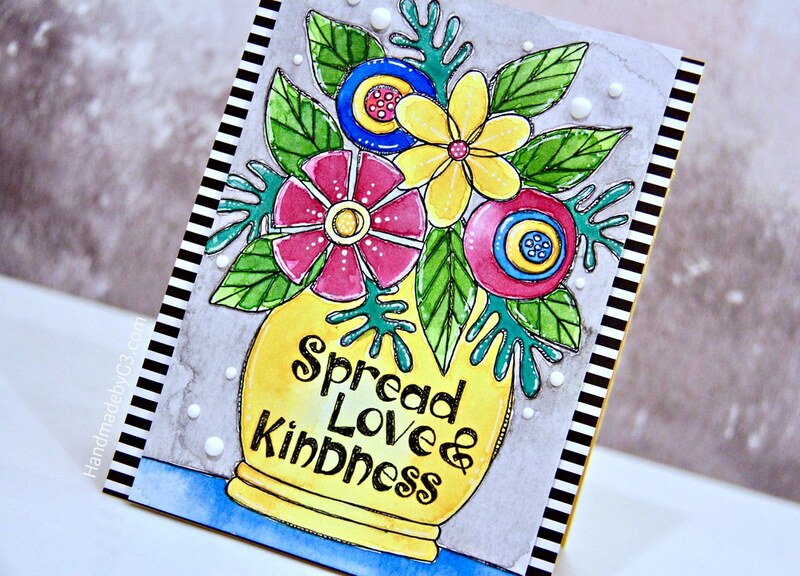 Suzy’s Good Vibes watercolour prints were perfect to try with Mission Gold watercolour. This is the result of a quick watercolour try out using one of the prints. Mission Gold watercolours are awesome. I love them. Smooth, highly pigmented and easy to use watercolours. No grits at all. I really love them. Glad I bought it. 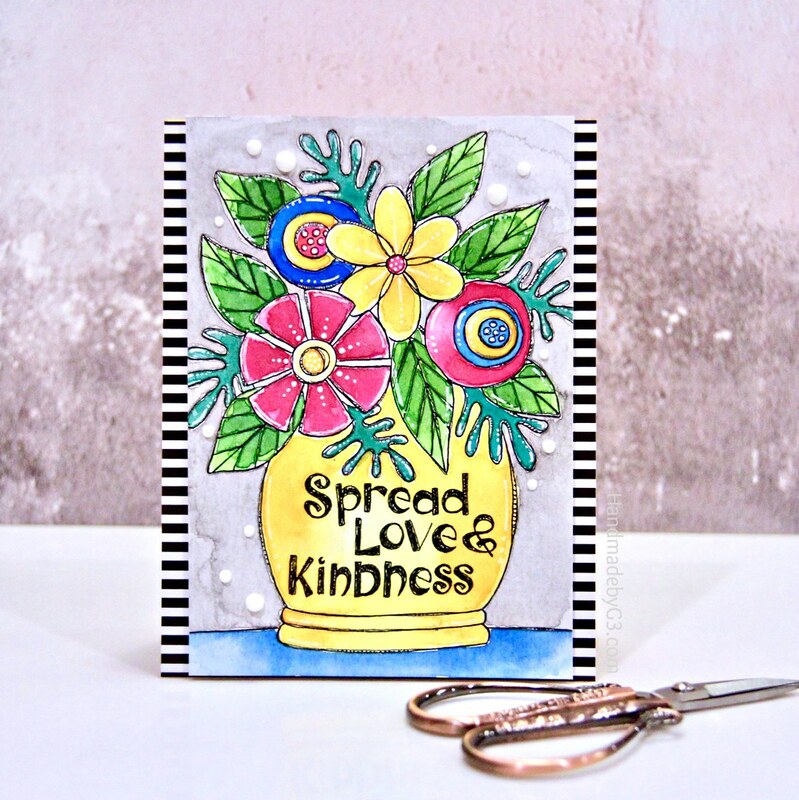 I watercoloured one of Suzy’s Good Vibes prints, highlighted using white gelly roll pen, trimmed the print before adhering on to the card front with black and white stripped pattern paper. 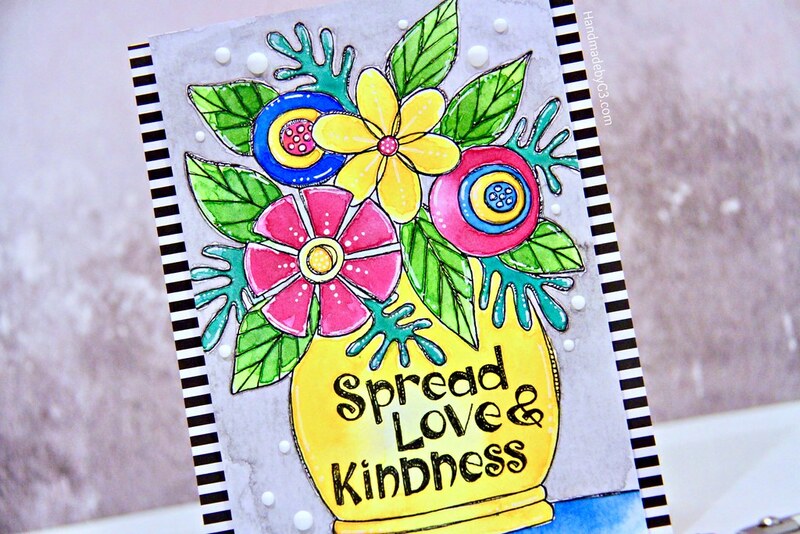 Then I added some Nuvo white crystal drops to finish off the card. I totally forgot to add drop shadow.I was multi tasking and it slipped my mind completely. I will add the drop shadow later. The black and white stripped paper on the sides ties with the black outline of the image and the black sentiment to bring the card together. Supplies used to make this card are listed below. Thanks very much for stopping by to check out my project. Have a lovey day!